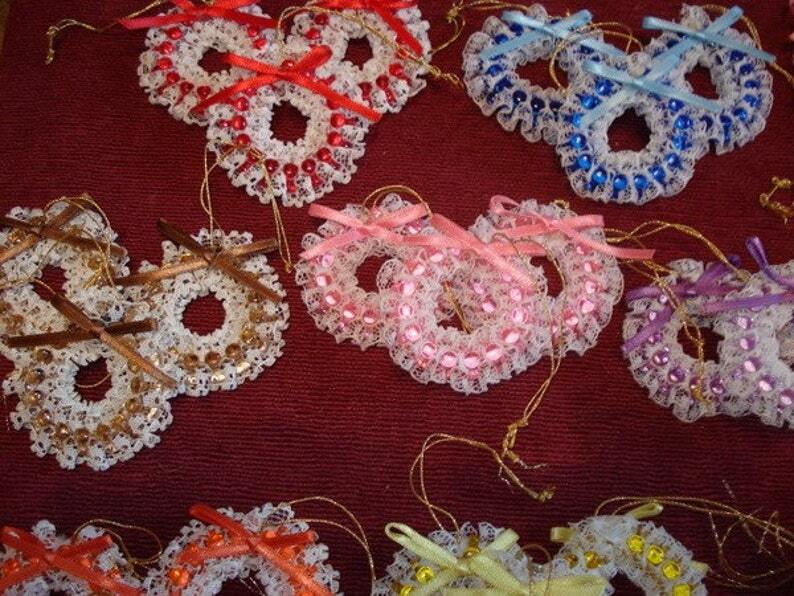 Vintage handmade beaded Christmas ornaments in excellent vintage condition. Most unusual colors for Christmas, but I can see this on my gingerbread tree with all my gumdrop and sugarcoated candy ornaments! Could be used for Easter decorations as well. Enough to decorate a small tree, 30 count, most come in sets of 3. Small, each measures approximately 2". Each has a sweet bow and a gold thread to hand from tree. Handcrafted, probably from a kit in the 1970's. Shipping on this item may vary due to weight and location. Any overcharges will be refunded. Return to AntiquesGaloreGal for more shopping and thanks for looking!